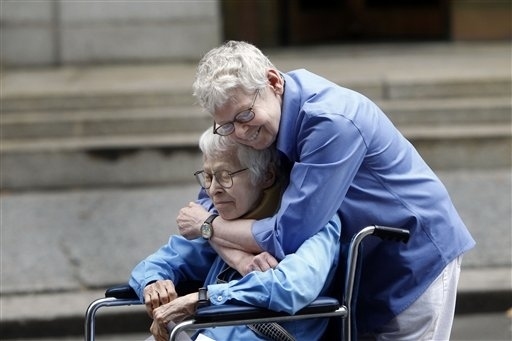 The web site, BuzzFeed, has published 60 photos of gay couples who were married just yesterday, July 24, 2011 in New York. In looking over the pictures of the “supposedly” happy couples -some with children, I realized I have been wrong all along in supporting marriage equality. You’ve been warned America! These demented, hated ridden, MARRIED gay New Yorker’s are on their way! Now quick, one final rousing chorus of the Star Spangled Banner before Somewhere over the Rainbow becomes the national anthem!